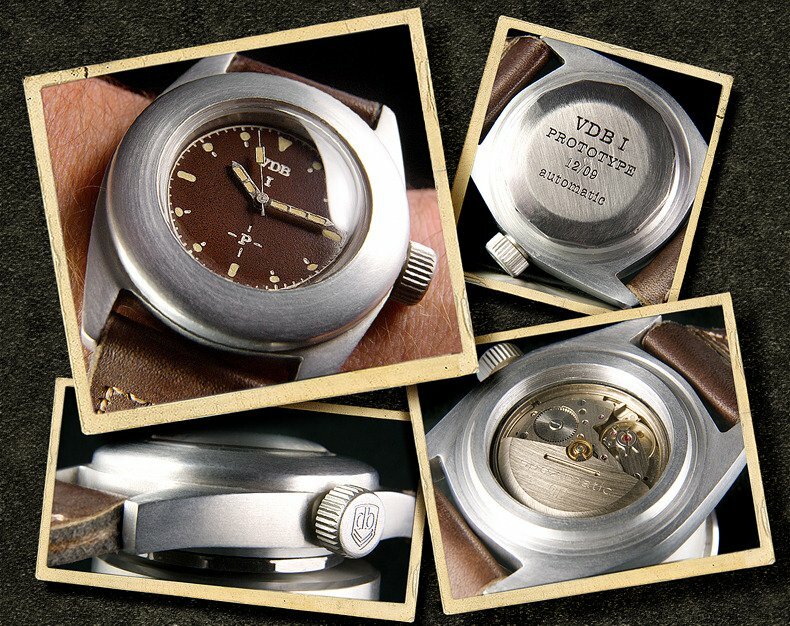 The Purists forum features January 2010 pictures of a prototype made by a new German brand called “VDB”. The collection comes in diameter 46 mm and features a vintage GUB Spezimatic calibre. Click here to see the original post at ThePurists.com. Update: here is the link to their Web site.